We’re a bit in love with these creamy, fragrant mashed sweet potatoes. They’re quick to make and go alongside any family dinner. Plus they count towards your 5-a-day. 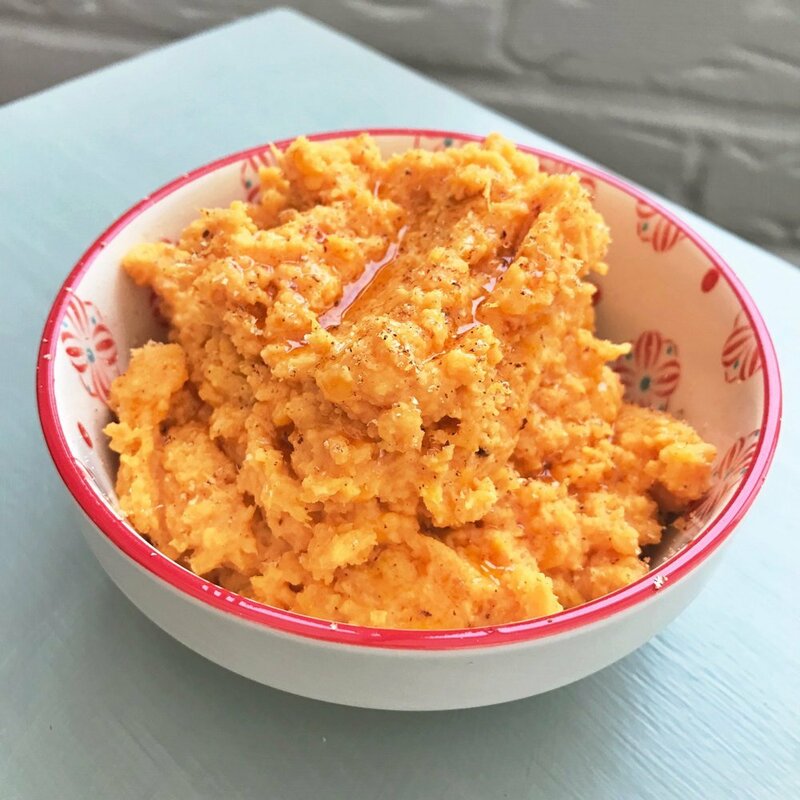 Delicious creamy sweet potato mash. 6 medium sized sweet potatoes - peeled and chopped into small chunks. Boil the sweet potatoes in salted water until tender. Drain and then mash well. Stir in the yogurt and honey and whip it in with a spoon. Sprinkle in the cinnamon and grate over the nutmeg and black pepper to taste, stir through gently. Drizzle with a little chilli oil if you like. Skip the honey and leave them unsweetened. Switch the Greek yogurt for cream cheese. Add in other root vegetables like carrots or swede. Play around with the spices, switch the nutmeg and cinnamon for cumin and coriander or any others you like. Serve alongside roast chicken or grilled fish. Delicious drenched in a slow cooker casserole.